Global leader in car infotainment for consumer and business-use electronics Pioneer Gulf Wednesday unveiled their 2017 in-car receivers to further strengthen its presence in the East Africa region. 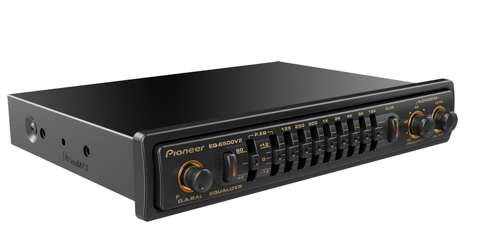 Among the 11 models launched is a 13 band equaliser (EQ), 20 years ago the company had introduced the equalizer in the market and it received a lot of traction especially in the western countries, now pioneer is re-launched the second version of the equaliser with upgraded options. “The EQ 6500V2 is the second version of the equaliser, it is very popular and has received a lot of demand and we want to re-introduce it to the market and make it even more popular across the East African region” said Muralidhar M, General Manager Pioneer Gulf FZE. The EQ 6500V2 new features comprises double equalization, nine-band equalizer with a subwoofer control. It has twice the number of adjustable frequencies than most car EQs giving more precise sound tweaking. Besides that, the EQ is incorporated with a newly 3-way network mode which can significantly enhance treble, vocal and bass separation for greater finesse by seamlessly integrating a tweeter, mid-range driver, and woofer. The EQ syncs with Pioneer ARC App, where users can simply use a pre-set EQ3 setting (e.g. Vocal/flat), or create your own custom EQ-setting by swiping your smartphone touchscreen. Pioneer ARCMobile App has also been updated to take full advantage of this 13-band EQ and 3-way network mode with advanced settings like crossover and speaker levels, which can be easily customised via an intuitive “touch-and-slide” interface with zoom capability. A newly introduced fader/balance setting lets users tune both parameters effortlessly and concurrently. 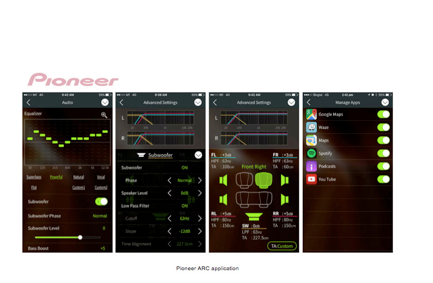 The Pioneer ARC app is compatible with iPhone and iPod touch running iOS 8.0 or later version, and with iPhone 5 or later models. It is also compatible with devices running Android OS 4.1 or later versions, and supporting Bluetooth SPP (Serial Port Profile) and AOA (Android Open Accessory) 2.0. “Pioneer is committed to creating the best driving experience, and these new receivers reflect our effort. Through continual research and development, we now allow our customers to conveniently customise their sound system, while adding more popular apps and content to the existing mix,” Muralidhar said.